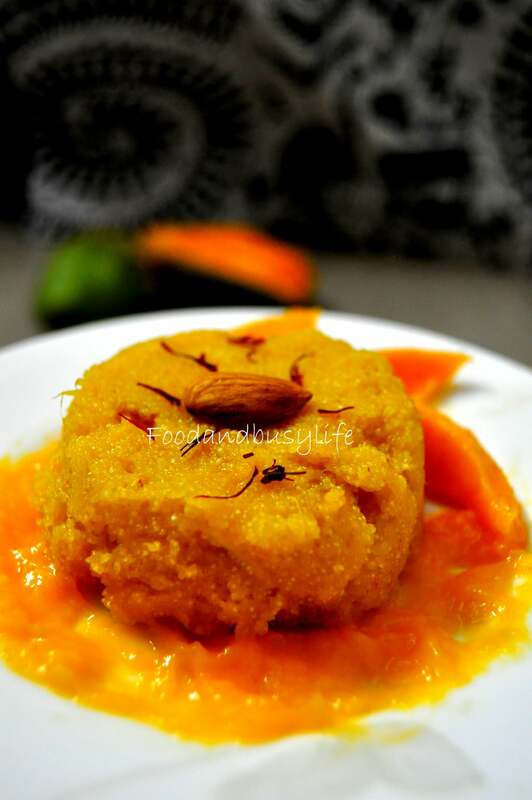 Mango Halwa – A dessert to relish!! Soak saffron in 2 tsp of warm milk.In a heavy bottom pan add 2 tbsp ghee .Fry the semolina till you get a nice golden color. At this point add water and milk and cook till it started to thicken. Mix sugar and cook again till it started to thicken. Add mango pulp and keep stirring so it will absorb the moisture.Cover the pan with a lid and simmer for 1-2 minutes Stir and cook till it start leaving the sides of the pan.Add nuts .Add a tsp of ghee and mix. Garnish with dry nuts and serve warm.